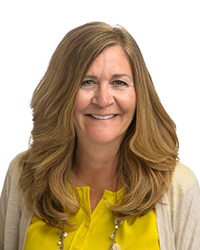 Dr. Karen Snyder earned her PhD in Education from Walden University in 2014, Master of Science in Health Sciences from the University of Central Florida in 1992, and Bachelor of Science in Occupational Therapy from Florida International University in 1985. Over the past 30 years, she gained both management and clinical experience in a variety of settings specializing in orthopedic, neurological, cognitive, emotional, and pediatric disorders. In addition, Dr. Snyder authored materials presented at the International Autism Conference, Autism One Conference, AOTA National Conferences, Great Southern Occupational Therapy Conferences, Florida Occupational Therapy Association Conference, and published articles in the Florida Occupational Therapy’s FOCUS Newsletters. Dr. Snyder joined the University of St. Augustine in January of 2012 as contributing faculty and accepted the position as director of the Doctor of Occupational Therapy (OTD) Program in 2015. In addition to program development and advisement responsibilities of the OTD program, she also is a course instructor for both the entry and post professional programs. Her passion is to encourage all students to advance the profession of occupational therapy through research and education. Her research expertise is in qualitative studies. Dr. Snyder is a member of the American Occupational Therapy Association and Florida Occupational Therapy Association, with special interest activities focused in Higher Education.